Meetup for those interested in diy synthesizers, noise machines and audio gear. There is room for discussion, presentations and hands-on tinkering. Expect some soldering, patching, tweaking, and noodling of audio waves that tickle your ear. 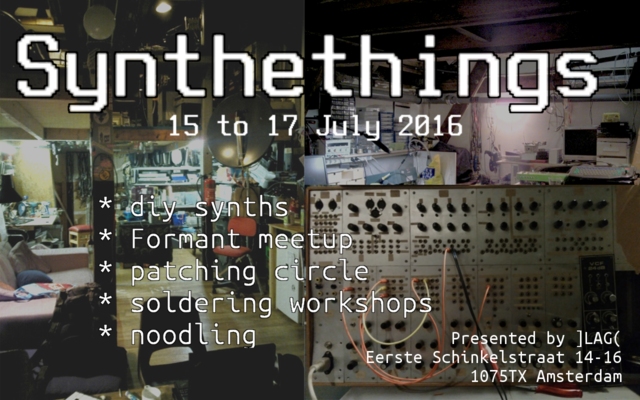 Saturday 16th: patching circle -> Puredata, MAX/MSP, Axoloti: patch it all up! Sunday 17th: making/breaking/playing with all kinds of audio projects -> bring your own!